I’m still (!!) 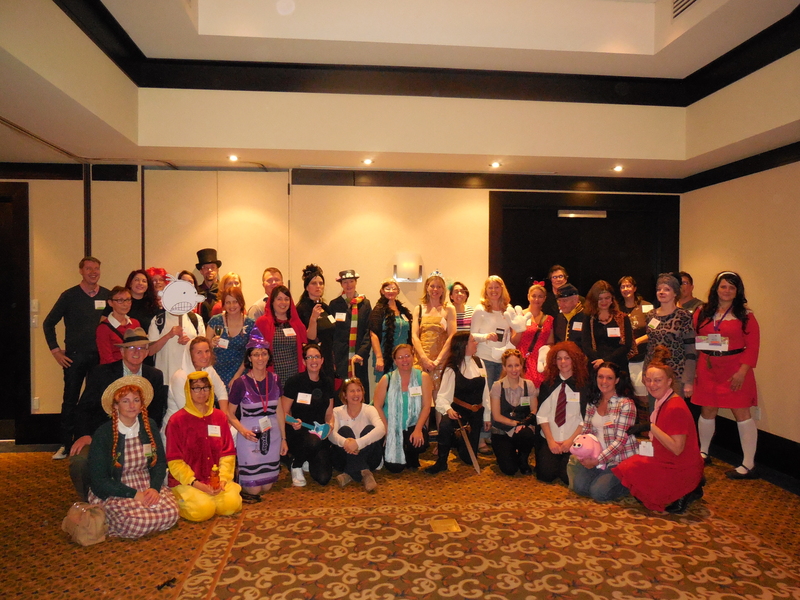 suffering from my concussion, but since Halloween is my favourite holidy, I thought I’d share this photo from the SCBWI Canada East Confrence I attended two weeks ago in Ottawa. We’re all dressed as our favorite character from Children’s books. That’s me down the front in my (rather lame) Pete the Cat costume. I put more effort into my real Halloween costume: Molly Carpenter from Jim Butcher’s Dresden Files books – check out my Twitter feed for those photos.